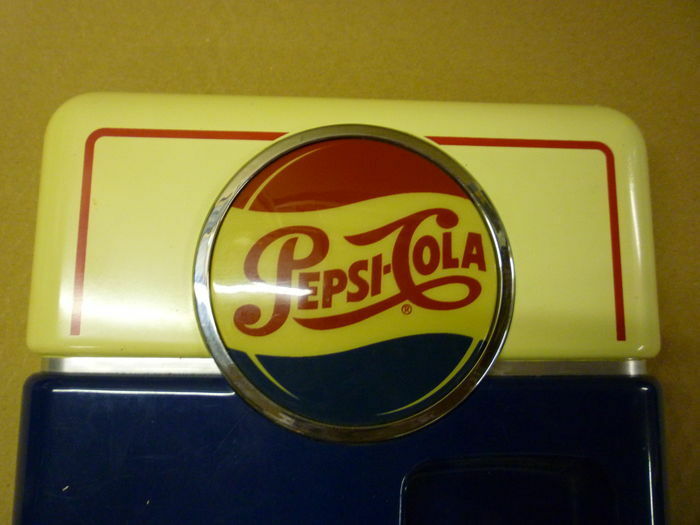 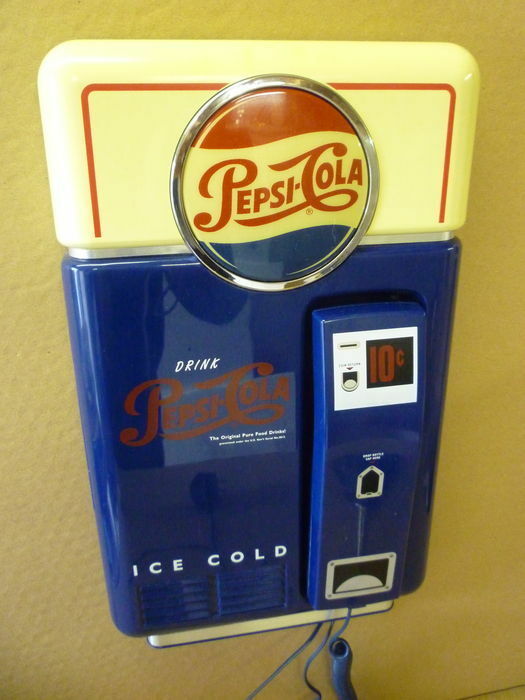 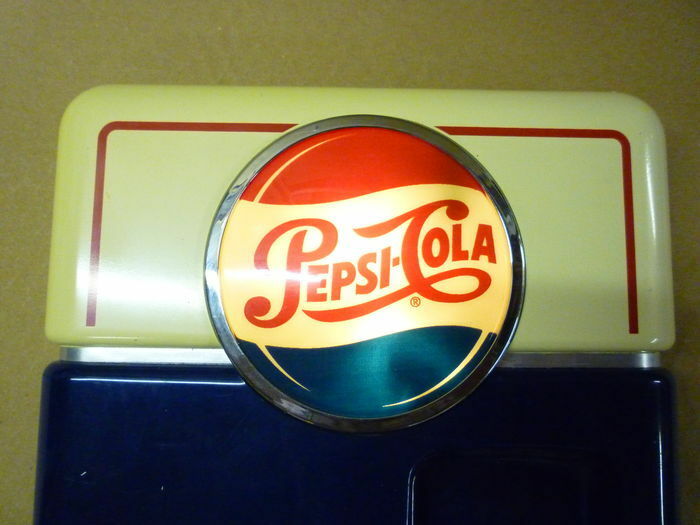 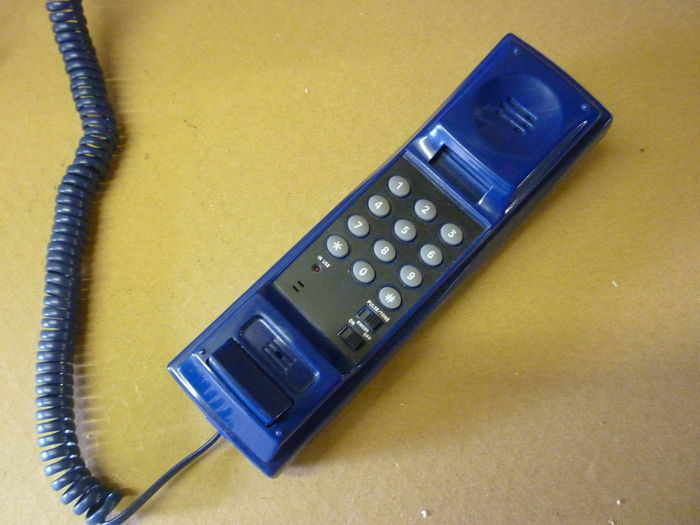 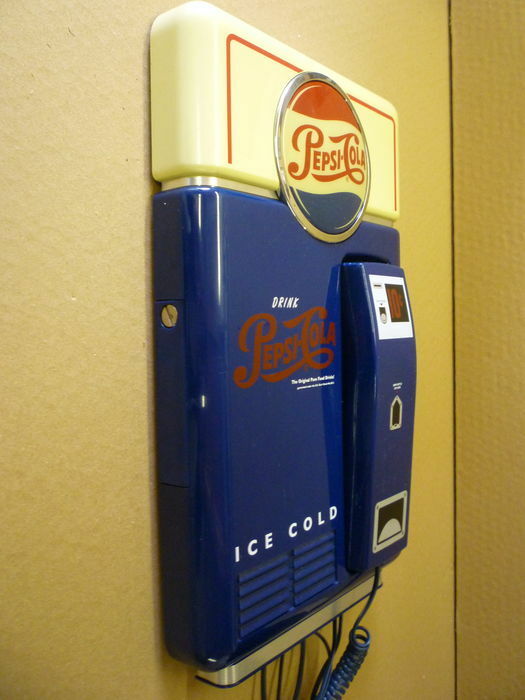 Vintage Pepsi cola telephone, early 1990s, for mounting on the wall. 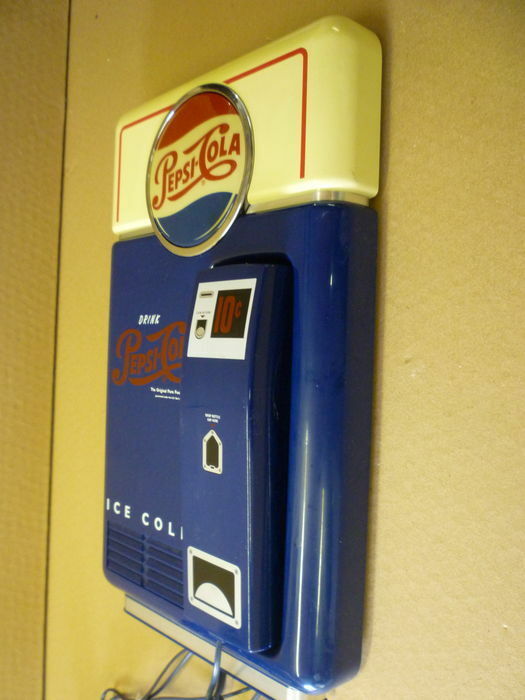 Looks like a Pepsi Cola vending machine. 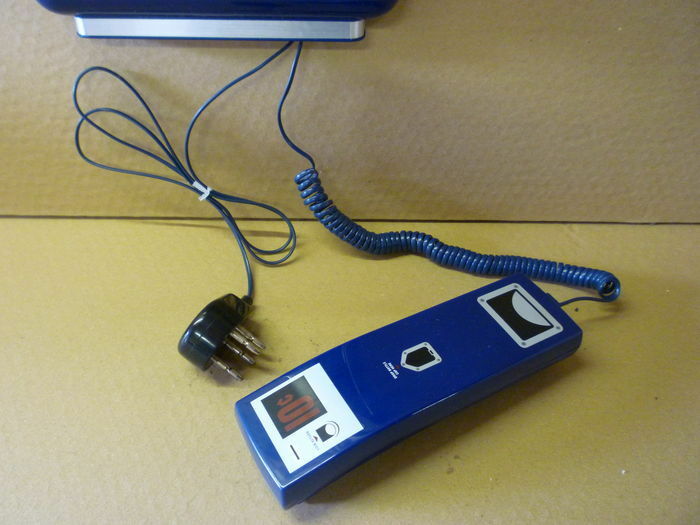 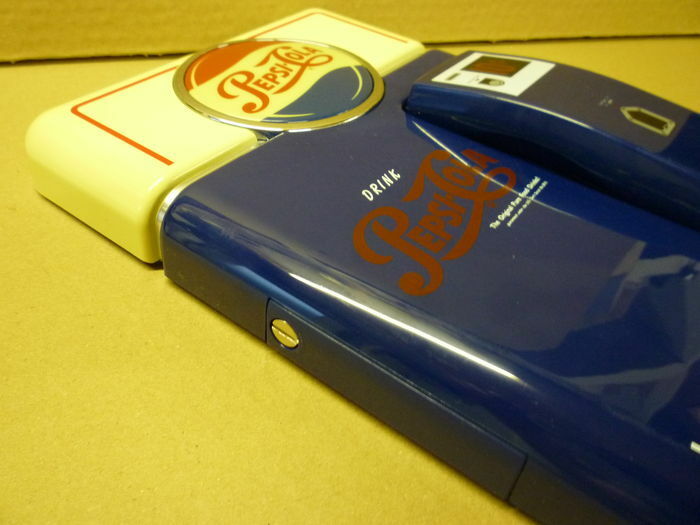 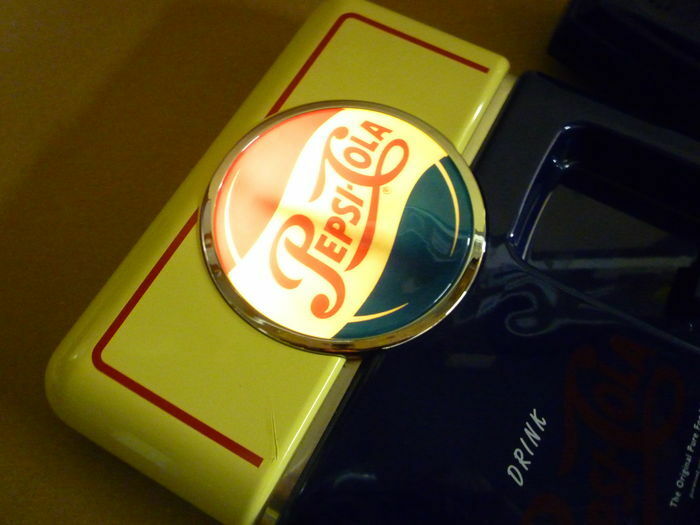 - The Pepsi logo illuminates when the phone rings (Buzz & Flash, with on/off switch, operates on 4 AA batteries). 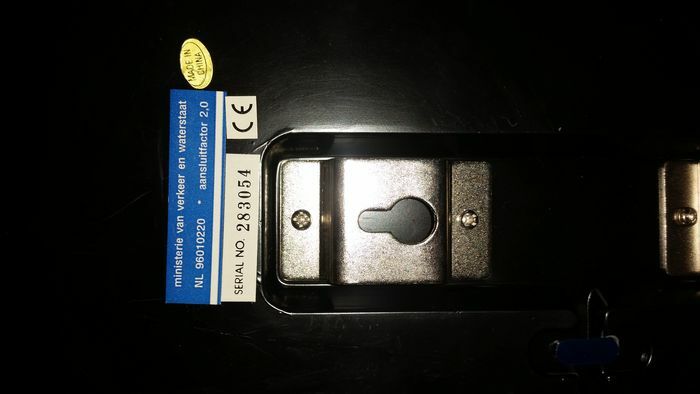 The photos show the lamp with light on and off. 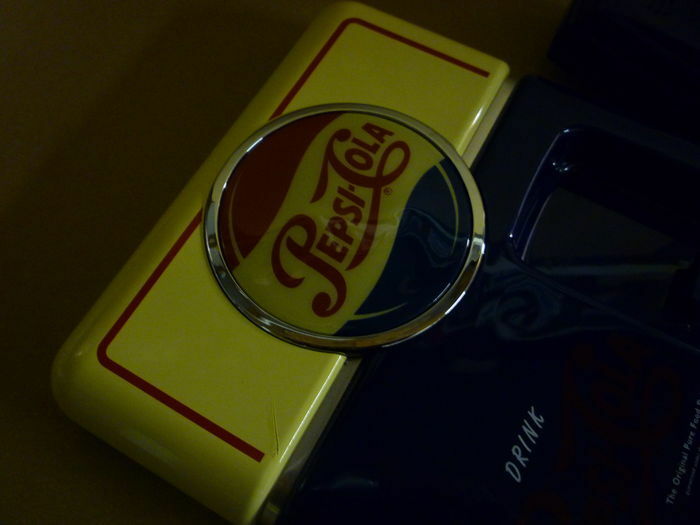 Height: 35 cm. 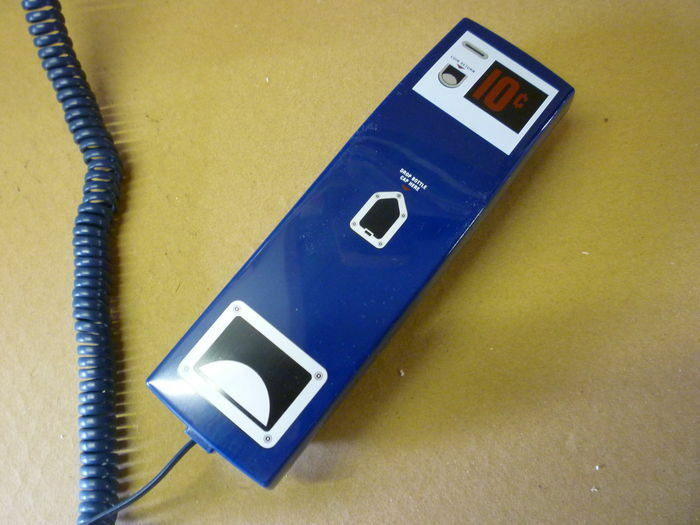 Width: 21 cm.